KUALA LUMPUR, MALAYSIA - JANUARY 2016: sunny day petronas twin towers downtown city center view 4k time lapse circa january 2016 kuala lumpur, malaysia. 4k00:17KUALA LUMPUR, MALAYSIA - FEBRUARY 27, 2015: Panning shot palm tree against Petronas Twin Towers. Camera moving right on ground level, looking up to palm tree crown and skyscrapers. hd00:28KUALA LUMPUR - APRIL 28:Petronas Twin Towers on April 28,2013 in Kuala Lumpur, Malaysia. It is famous landmark of Malaysia. 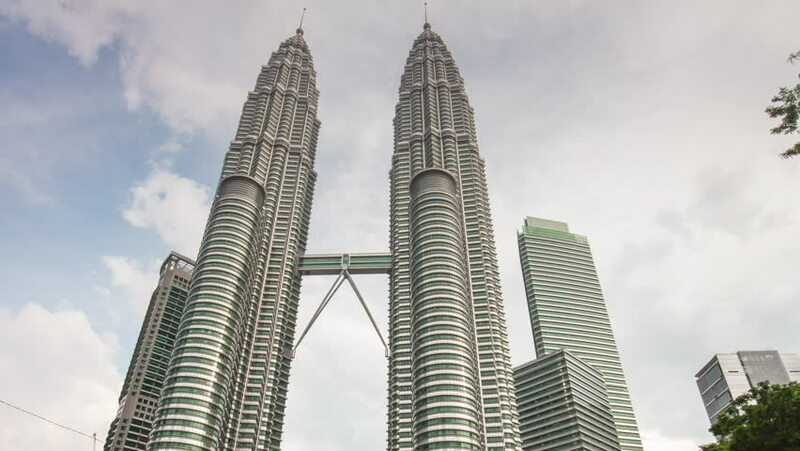 Petronas Twin Towers are the tallest twin buildings in the world (451.9 m).